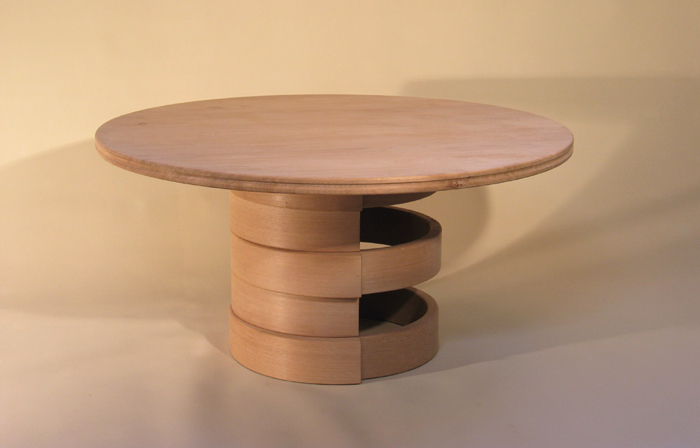 5ft (153cm) diameter top with steam bent rings. Seats 8 comfortably. Shown here in solid oak with bleached finish. This table is in stock. Also in stock with a perfect solid elm top, oak rings and oiled finish.